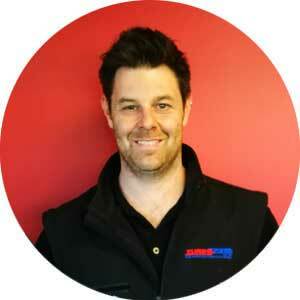 Garry comes from an engineering background working in fine tolerance machining. His passion for turbochargers came from working for DSL Christchurch, as a technician. The combination of his engineering skills and turbocharger experience gave him a desire to live the Kiwi dream and start his own business. 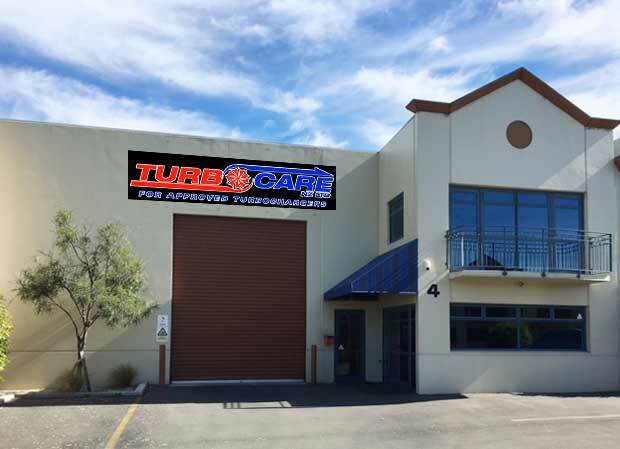 Turbocharger Reconditioners was established back in 1983 however, in 2006 Garry decided to take a fresh approach and the business was rebranded Turbo Care NZ. 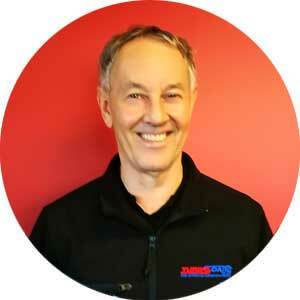 Garry is our resident specialist for heavy diesel and commercial turbochargers. Garry has been involved with Civil Defence as a first responder for many years and is now a trained medic for Pro Med. This is a great way to give back to our community. He is also a keen follower of most sports – but loves cricket the most! In the weekends Garry likes to go mountain biking which has become his new weekend pursuit. As Garry heads into semi-retirement, he is looking forward to spending more time with his family especially his 3 grandchildren. The Turbo Care building in Christchurch. 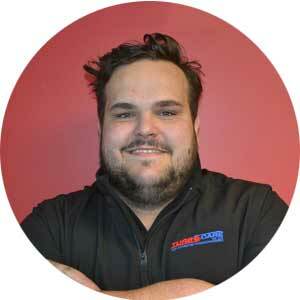 Jarrad joined the family business back in 2006, he came with a mechanical background having spent the last 6 years working in service workshops. Jarrad has a particular passion for fast cars and high-performance turbochargers. Over the last 10 years Jarrad has injected new drive and direction into research and development, and is always pushing the limits. Jarrad has come up with some pretty fantastic results! Jarrad is always happy to talk turbo – just saying! There is not much Jarrad doesn’t know about turbochargers. On the weekend when Jarrad is NOT at the workshop he enjoys fishing, hiking, off-road trail biking and ALL things motorsport. At heart Jarrad is a family man and with his 3-year-old son Conrad already loving anything mechanical (it’s in the blood!) we are likely to see a third generation of Whall boys continuing with the family tradition of all things Turbo and living that Kiwi dream. Dan has an easy out-going personality and loves coming to work every-day. Dan comes to us with qualifications as a fitter, turner and toolmaker, a strong background in construction – it goes without saying a passion for turbocharged cars! Being a family man, he spends his weekends pottering in the garage with his baby – (no not the Celica) his 4-year-old daughter Athena. Dan loves working on cars and currently owns an old Toyota Celica rally car; the topic of conversation in the lunch room is cars, cars, cars, turbo, turbo, turbo! Trent brings a confidence in stock control and inventory management to the workshop. Trent has a strong background in sales and customer service in the automotive parts industry. 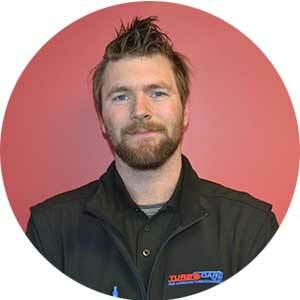 His knowledge of sales and inventory has enabled Trent to hit the ground running, which has made a big impact already here at Turbo Care. Trent spends his weekends fixing his car and really enjoys fishing and hunting. We’ve had big promises of fresh salmon coming our way! With a passion for cars, engines and turbochargers Trent has started his training to become a Turbo Technician with a great attitude and a lot enthusiasm.